I’ve had this top in my wardrobe for several years. I bought it because I love the print and the colours. Unfortunately my husband caught me with the camera while I was wearing it and I was horrified to see that I looked fat. Of course, there are some good reasons for this. 4 of those reasons are trashing the upstairs of my house with Lego as we speak. The other reason is my inability to not eat stuff that’s full of carbs and sugar. Despite the fact that I don’t wear this top and, having had a number of opportunities to donate it to charity, I can’t quite bring myself to part with it. I still like the colours and I still like the print. I just don’t like feeling fat. So instead of it taking up room in my wardrobe as something I never wear, I’ve turned it into something I will love wearing! 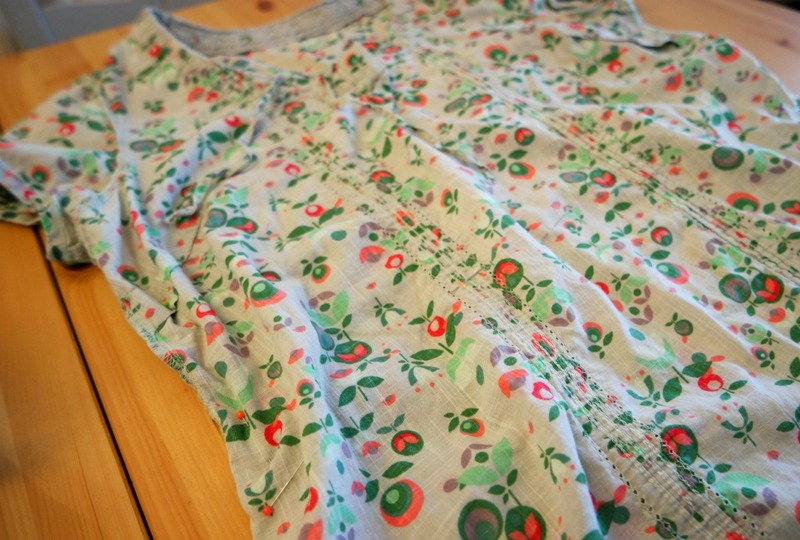 Here’s how to refashion a top into a dress. My most favourite thing in my wardrobe is this cherry blossom dress. I made it 2 years ago as an experiment to see whether I could make a dress without using a pattern. It was a success and I wore it to a wedding. 2 years on and I still wear it all the time when the weather is warm enough! So I decided to make my top into something similar that I will hopefully love just as much! 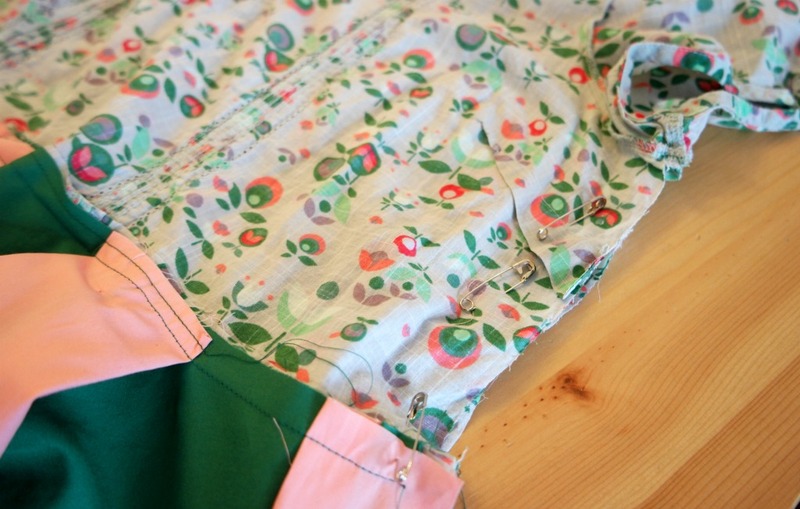 To make the skirt, I chose some cotton fabric in emerald green and in pink to co-ordinate with the flowers on the top. I finished the sleeves with some green bias binding to pull it together. I love circle skirts! 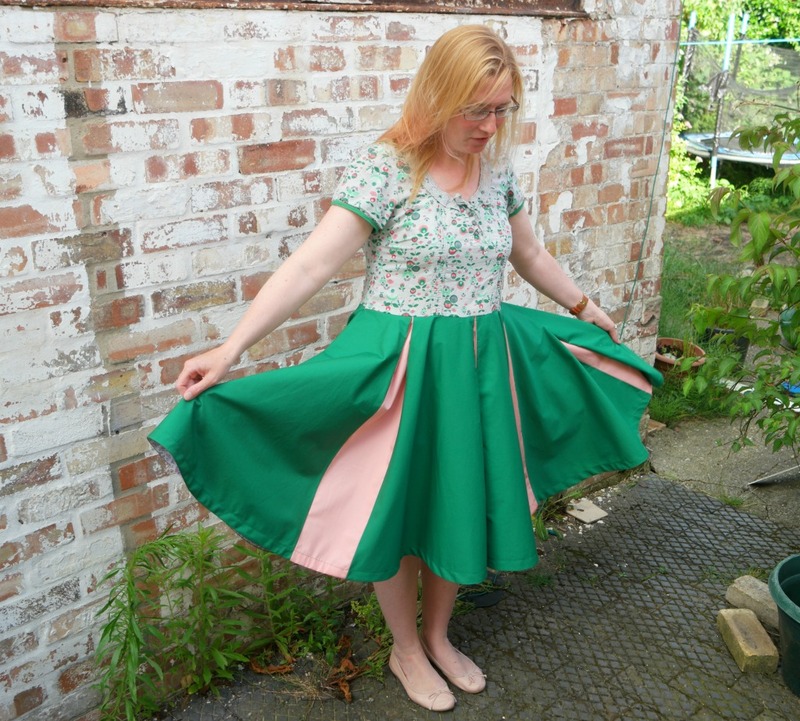 As well as the cherry blossom dress, I have made circle skirts, half circle skirts and this foofy skirt has several net circles underneath it to give it its foofiness. 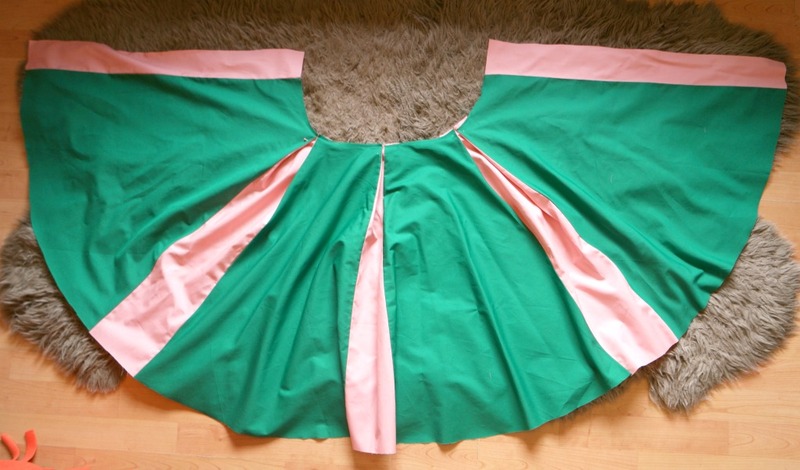 With this circle skirt, I added some contrast pleats. 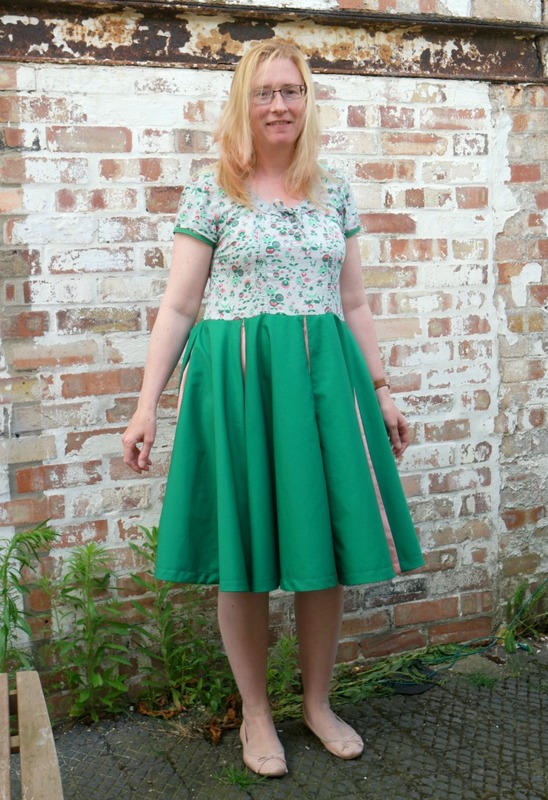 Here’s how to do it in case you want to add a circle skirt to a top you don’t wear any more! 1. Measure your waist, remembering to hold the tape measure loosely. Add 16 cm for seam allowances. Decide how long you want it to be. 60 cm is a good length for most people. 2. 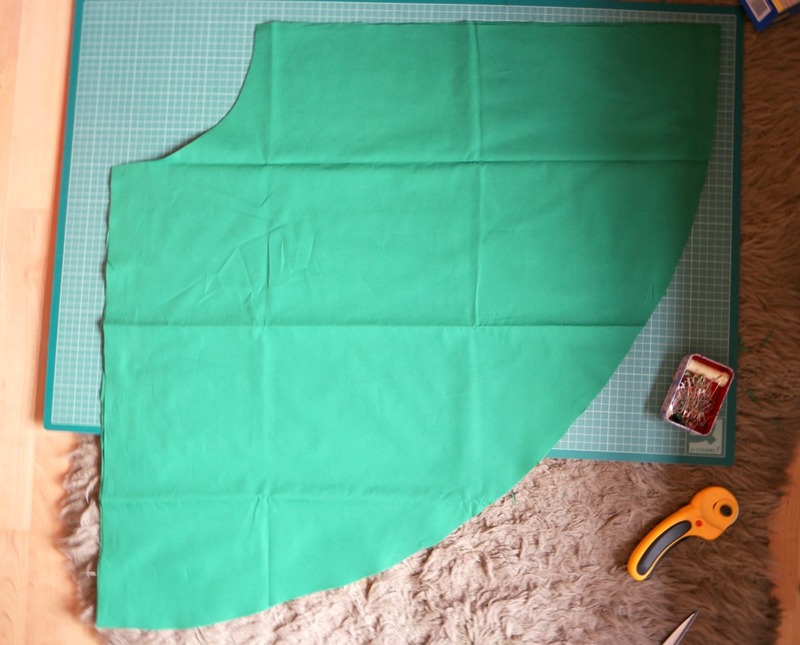 In order to calculate how big a square of fabric you need for cutting out, you will need to add the radius of your waist circle to the length. The radius is the distance from the edge of the circle to the centre. In order to do this, you will need to use pi. Pi is the ratio of the circumference (outside edge) of a circle to its diameter (distance across the circle passing through the centre). The circumference is roughly three times the diameter. You’ve probably got a calculator on your phone and that will have a pi button (mine does!). Take your waist measurement plus the extra cm and divide it by pi. Then divide the answer by 2 to get the radius. Add this to your skirt length. This gives you the size of square you need for cutting out. My total was 78 cm. I added a couple of cm for the seam allowance, giving me 80 cm. 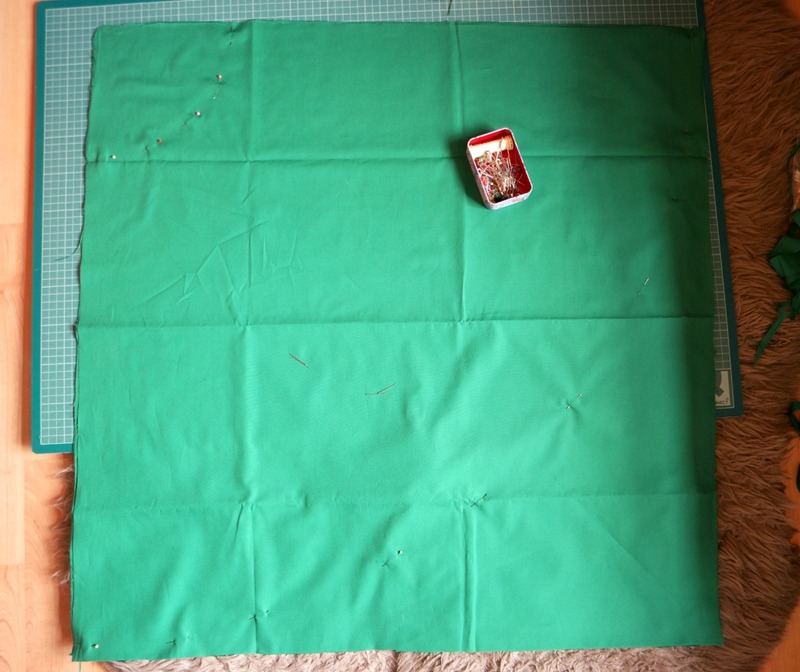 So the size of square I needed for cutting out was 80 cm x 80 cm. 3. Cut your 4 squares of fabric. Check that they are all the same way up. Identify the top corner and from there, measure down the distance of your waist circle radius (this is the number you reached when you divided your waist measurement by pi then divided it by 2). Mark this on both sides of the fabric, and then using your tape measure, mark of the rest of the waist. 4. Take your total length measurement and measure down from the top corner again. This is to mark off the bottom of the skirt. Mark this on both sides of the fabric, and then across the fabric using your tape measure in the same way as you did with the waist. 5. Cut out the waist and the bottom of the skirt. I used a rotary cutter (affiliate link) and cut through all 4 pieces of fabric at once. You will have 4 quarter circles. Cut each quarter circle in half so that you have 8 eighths. 6. 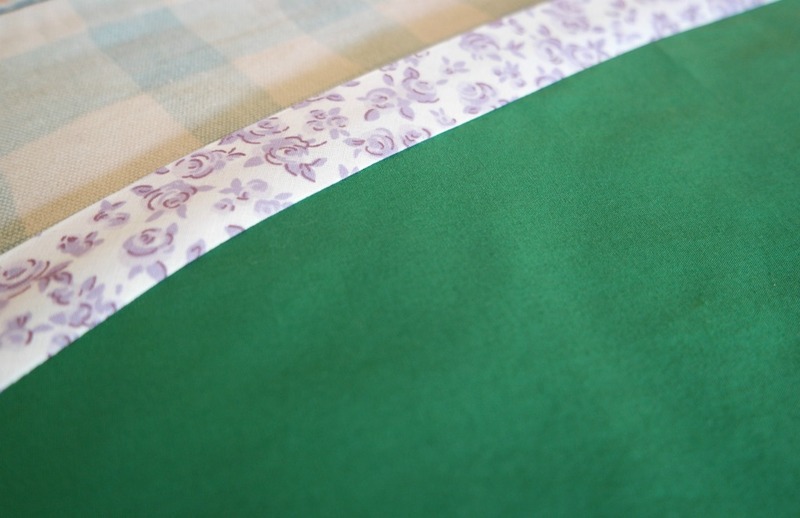 From the contrast fabric, cut 6 strips 15 cm wide and the same length as your skirt, then cut 2 more strips the same length as the others and 17 cm wide. 7. Time to start sewing! Take one of the eighth circle pieces and one of the contrast strips. Sew the contrast strip to the side of the circle eighth that has the grain running up and down. Sew another eighth to the other side. This will be the centre of the skirt. 8. 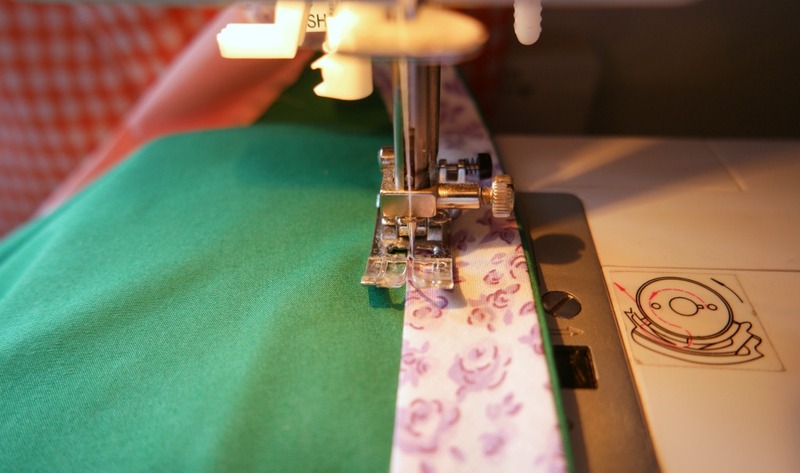 Sew another strip to the side of one of the eighths, then attach another eighth to the other side of the strip. Repeat for the other side. 9. Now take your 17 cm strips and cut them in half. Sew one half strip to each side. You should now have half a skirt with a stripe down the middle, 2 on either side, then half a strip attached to each outside edge. 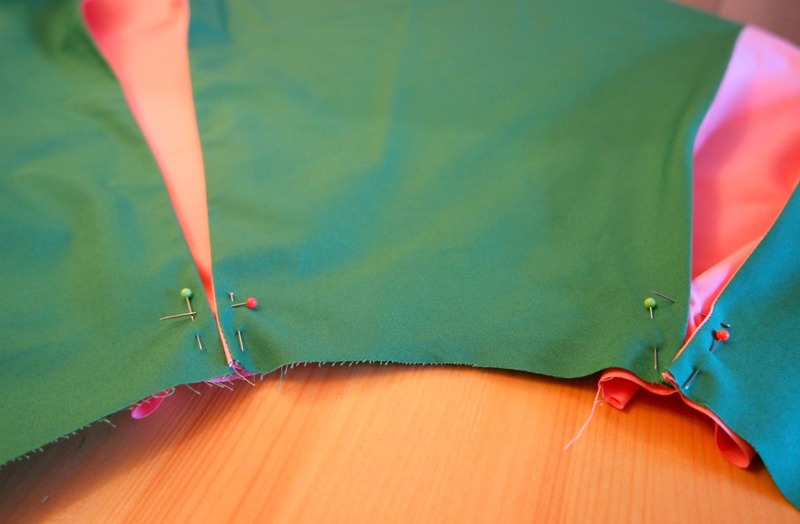 Repeat with the remaining skirt pieces so that you have 2 half skirts the same. 10. Trim the seams and press them. Then fold each seam so that the wrong sides are together and press. 11. 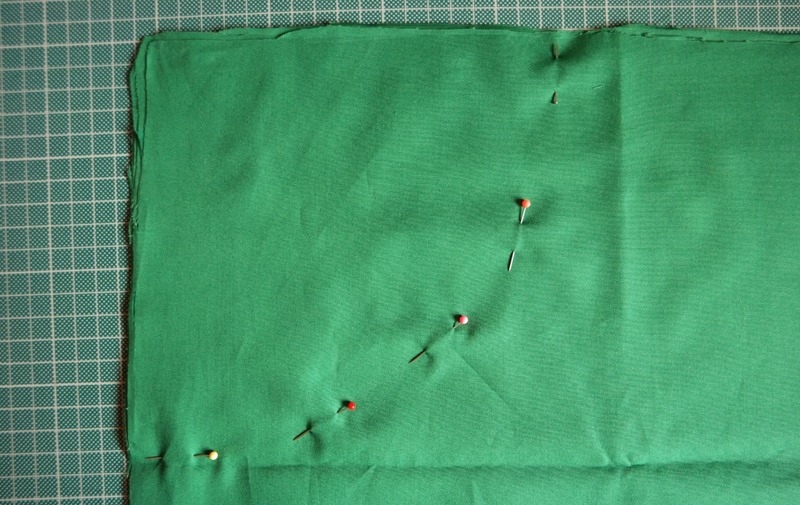 Fold the seams into the centre of the pleat and pin. 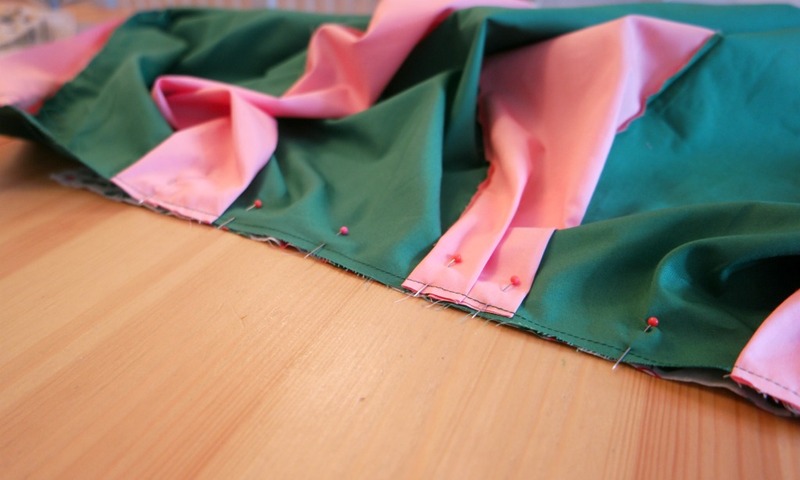 I quickly sewed along the top within the seam allowance to hold the pleats in place. 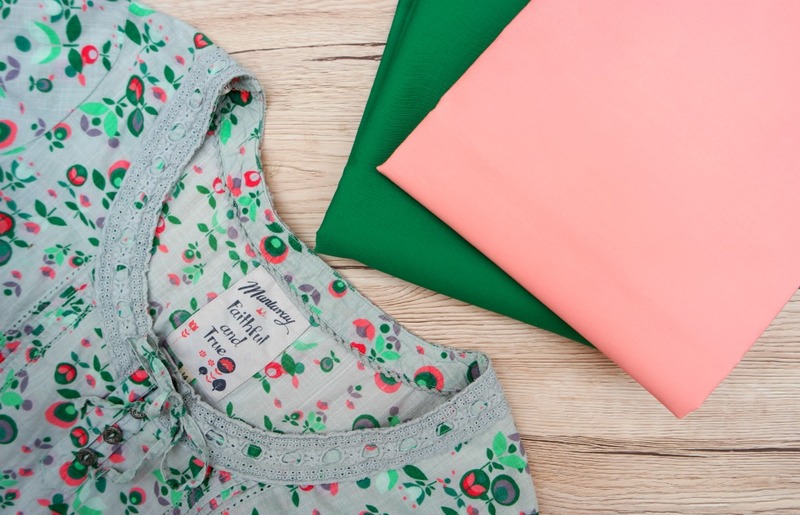 In order to refashion a top into a dress, it might be necessary to make some adjustments to the top so that in can become a bodice for a dress. My top was a bit baggy around the armpits, so it needed some alterations. I tried the top on inside out and pinned it at the sides. I also marked where the waist needed to be. After taking it off, I cut the bottom off just underneath where I had marked my waist. I removed the pins and cut off the side seams. Because it was too big, I was able to do this as there was enough extra fabric. 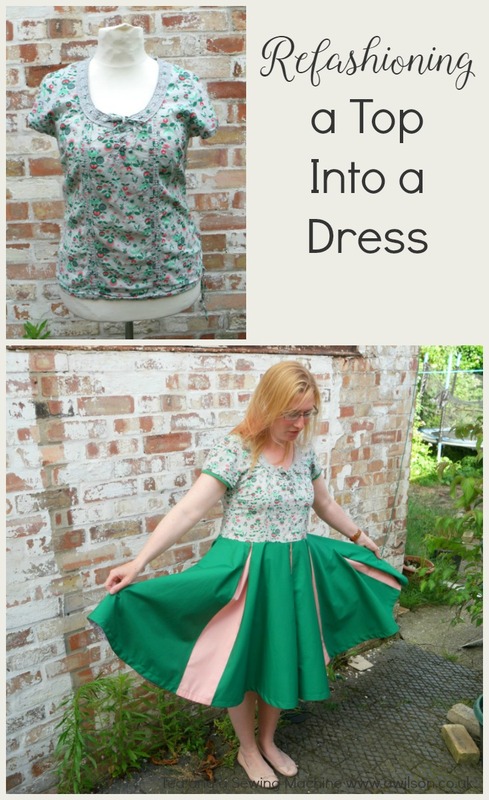 If I hadn’t needed to take it in, I would have needed to unpick the seams which would have been a pain as they had been finished with an overlocker and it would have taken ages! Lining up the centre pleat with the centre of the back, I pinned the skirt back to the back of the top, then sewed it in place. Then I did the same with the front. For some reason the back of the top was slightly less wide than the front. I resolved this by taking in a bit more at the pleats at the sides. Then I sewed the skirt pieces to the top. I unpinned the side seams after I took the top off, as at this point I just needed to check whether I had enough spare fabric to cut the side seams off or whether I would have to unpick them. So now I had to try it on again to pin the side seams. I didn’t much fancy getting jabbed in the armpits with the pins again, but thankfully I remembered something that Julie from Sum of Their Stories had said about using safety pins instead. This way turned out to be a lot less painful and I didn’t have the issue of pins falling out while I was taking it off! Having repinned the sides, I sewed up the sides of the bodice, then changed thread colour and sewed up the sides of the skirt. This involved joining the centre of the pleats at the sides and trying not to catch the green bits in the sewing machine. As the top has some buttons in it, I didn’t need to add a zip. If it did need one, I would have added one to one of the side seams using this method. 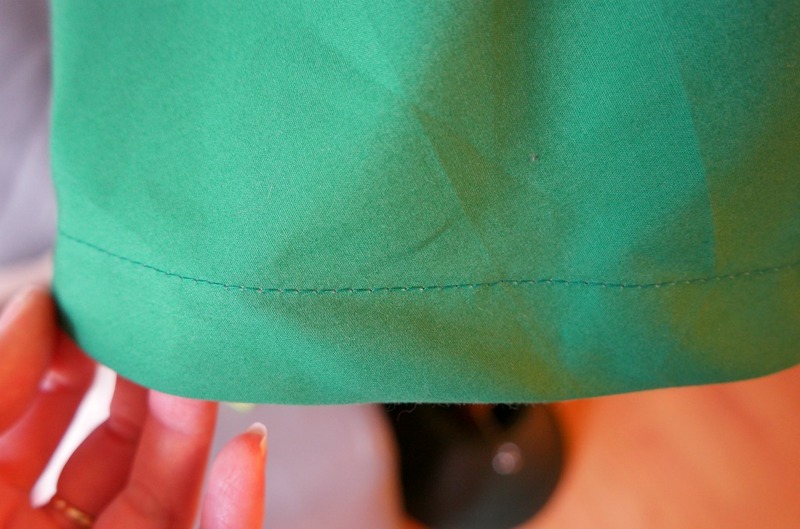 Usually I finish the hem of a circle skirt with a bound hem as hemming a curve normally is difficult to do neatly. This time I decided to still use bias binding, but with a slightly different technique. This one involves turning the bias binding underneath. I’ve wanted to try it ever since I saw it on the Great British Sewing Bee! There’ll be a full tutorial showing how to do this soon! 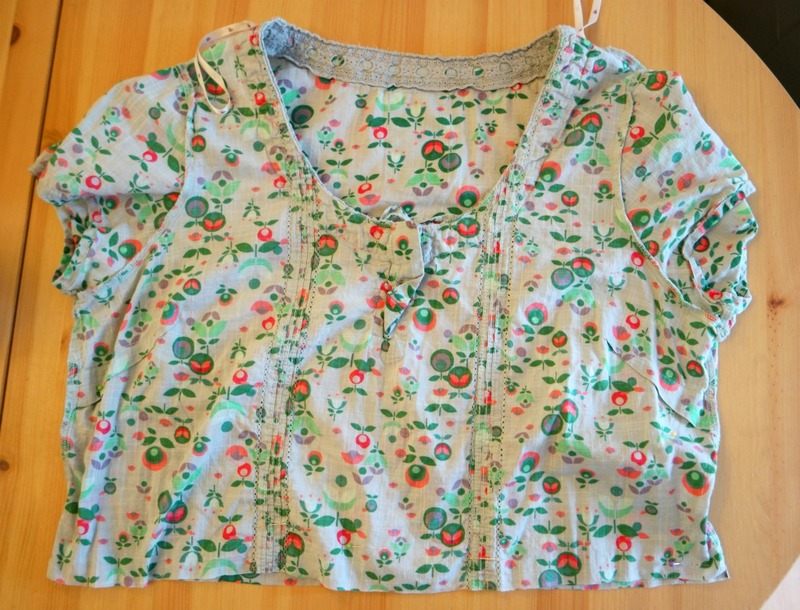 I was very happy with the finished results, but it still felt like an old top with a skirt attached. 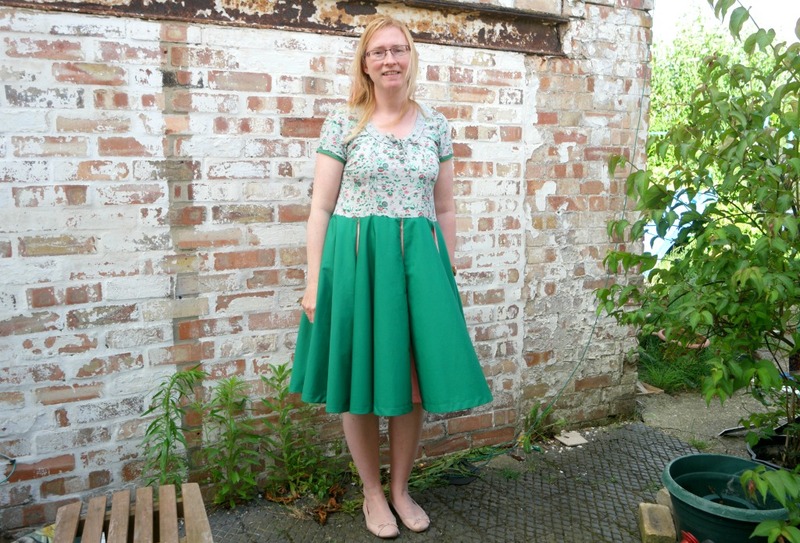 So to pull it together, I had a rummage and found some bias binding a similar shade of green as the skirt. I used this to bind the sleeves. That splash of emerald green on the top visually links the top to the skirt and it looks much better. I’m happy that I’ve managed to refashion a top I liked but looked bad on into something I can’t wait to wear! Nice tutorial! It is always good when we can repurpose clothes we have. I’ve been doing this for years so it’s nice to see others doing the same. I enjoy your blog! Wow! This looks amazing I love the contrast pleats they work so well in the colours you selected. 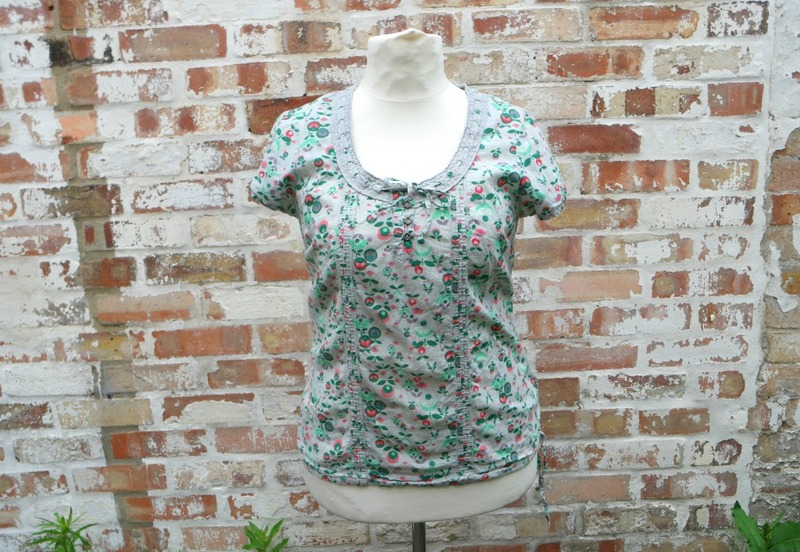 What a great way to up-cycle a much loved top into something extra special! I’ve just realised as I read your tutorial that I don’t own a circle skirt. I need to remedy that some time soon!